If you are new to pawn shops or have never had to use a pawn shop before then you might be a little confused between the two very basic services that most pawn shops offer. That is that the pawn shop will either offer to pawn or loan against your item or that they can also offer to buy your item outright. 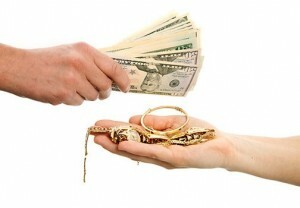 What Is Pawning or A Pawn Loan? When you pawn something you are essentially just leaving it at the pawn shop for them to hold and they are going to give you some money so that you can handle whatever responsibilities that you have in front of you. When you have the money saved up, you can then go back to the pawn shop and repay the pawn loan plus any interest that was owed on it. When you do this the pawn shop will then return your items in the same condition in which you left them. It’s a lot like letting a buddy hold onto your TV because you need to borrow R100 to take care of something. When you give your friend back the R100, you will get your TV back. It’s not as if time is unlimited on the loan. 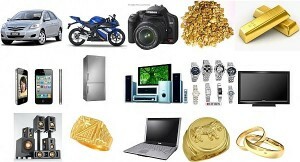 You only have a certain set period of time during which you have to repay that loan to get your items back. If for whatever reason you aren’t able to come back into the pawn shop and repay that loan on time as you agreed to, the pawn shop will then keep whatever items you made a loan against and try to resell them so that they can get their money back. When you sell something to a pawn shop, it may seem very similar in a lot of ways. You are giving the pawn shop something and they are paying you money for it. Unlike a pawn, when you sell something you can’t come back and get it later. Whatever you sold the pawn shop is now theirs to do with whatever they want to do with it. You no longer have claim or right to getting that item back. Let’s say a friend of yours has the R100 you need but instead of just loaning it to you, he wants to buy your TV from you because he needs a TV. He gives you the R100, you give him the TV and it’s all done. There’s no getting it back after that. It’s worth mentioning that when you sell something that you will often get more money for it than if you had made a loan on it. If you need the most money possible it turns out that you best option may be to just sell whatever the item in question is so you can make ends meet or cover whatever responsibility has come up. Just remember though, you can’t come back and get it later and we do agree to resell it to you – it will be at a much higher price than if you had just made a loan against it instead. 1. Do You Need or Want the Item Back in The Future? 2. Do You Need the Absolute Most Money Possible and Have Nothing Else to Pawn? If you need or want the item back in the future then the best option available to you is to just simply pawn the merchandise so that you have the right and option to come back and get those items at a future date. However if you need the absolute most money possible and don’t have anything else that you can reasonably pawn, then you may have to sell those items to get you the money you need to handle whatever it is that has come up.